Welcome to Aabsolute Fishing Charters a Lake Erie fishing charter where Captain Bill Crissey offer some of the most exciting and successful Lake Erie fishing available. 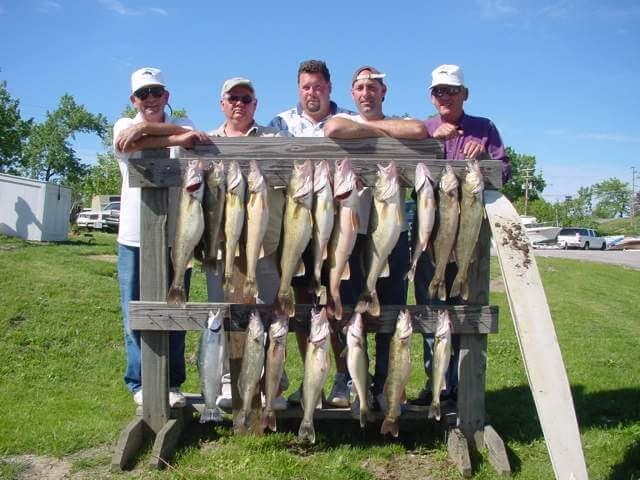 Enjoy an exciting day of Lake Erie fishing where you will catch walleye, yellow perch, trout, and many other species that call these Lake Erie fishing grounds home. Captain Bill runs a professional & top quality Lake Erie fishing charter service and is a USCG certified Lake Erie charter fishing Captain. Captain Bill are sought out by numerous Lake Erie anglers that want to fish with him and nobody else and there is good reason for it. Captain Bill has been fishing in Ohio and specifically fishing in the Lake Erie region most of his life and has amassed more quality fishing knowledge and skills than most of the other area Lake Erie fishing guides and it shows in his successful fishing. In addition to Bill's Lake Erie fishing knowledge he also has all the other qualities that make a fishing guide stand out among his peers. Captain Bill has a calm and friendly personality that especially makes a novice angler feel more comfortable. Bill also has plenty of patience, a must-have quality to be a successful fishing guide. He has the patience to look for the fish, the patience to wait on the fish to bite, and above all, patience with his clients. If you do happen to be a novice angler then you can rest assured bill will have the patience to encourage and help you should you need it. For various Lake Erie fishing trips, Aabsolute Charters sails out of Grand River Ohio on the Grand River right next to Pickle Bills Lobster House and Geneva and Ashtabula also. We specialize in walleye fishing which usually begins just after the ice has melted. Though Lake Erie walleye fishing doesn't begin until April, after the ice melt you can be sure the anticipation of Lake Erie walleye fishing has been building among anglers for many weeks prior. The anglers in this region of live, eat, and sleep walleye fishing. Walleye fishing on Lake Erie is very popular and very productive which may be why Lake Erie is known as the Walleye Fishing Capital of the World. 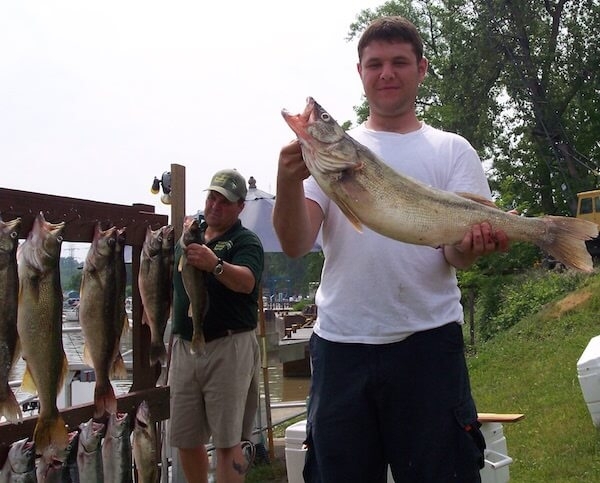 Walleye begin to start feeding aggressively in April and Captain bill Ohio fishing charters continue thru October when the Lake Erie walleye fishing slows down for the winter. It is true that Lake Erie walleye fishing is the favorite among most anglers and guides but there are other great species to fish for. How about some yellow perch fishing which are said to be mighty tasty and if you get into a good school of perch you can easily fill a cooler. The kids can wind up yellow perch until their arms go numb. Along with walleye and perch fishing there is also steelhead and smallmouth bass available. Ask the Captain what you will be fishing for.